Experience Superior Sound Quality with Bluray. If you are obsessed with a true home theatre experience, you must know the importance of high quality sound for the overall movie experience. Now that the format war is officially over and Blu-ray has been proclaimed the winner, people are constantly raising questions about whether there really is any difference in the quality of audio between DVD and Blu-ray. Apparently there is a clear difference as Bluray can offer as much as 7.1 channel surround sound. Even if the home theatre system is not able to support 7.1 channels, the quality difference is still apparent due to lossless DTS-HD Master Audio tracks. We have witnessed audio quality evolve from stereo Dolby surround, Dolby digital 5.1 and DTS. Although it supports most of these codecs, it also adds three new lossless codecs in the list. However, we all know that Dolby digital and DTS do sound excellent despite being lossy, lossless sound even better. One major hurdle that was keeping DVDs away from these codecs is the available disk space. In lossless multi channel soundtracks, no data is lost and bandwidth is preserved and that is why it requires more space. As a matter of fact, space is not really an issue for Blu-ray. 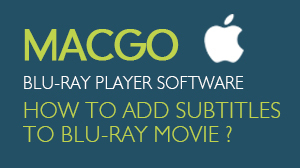 Essentially, there are three audio formats which are associated with Blu-ray. All of these formats deliver eight discrete channels of lossless audio. However, one must take into account that the overall quality also depends greatly on your AV receiver and input connections. Linear Pulse Code Modulation, written as both PCM and LPCM. LPCM tracks can have up to 7.1 channels of sound; three fronts, four surround and a low frequency effect channel. On a Blu-ray, it carries 7.1 channels at higher sampling rates and bit depth. It offers the same quality as that of the original master encoded without any compression. 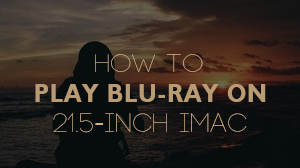 Due to this reason, it takes a lot of space which can be taken as disadvantage but not in the case of Blu-ray. While everyone is becoming a fan of its superior sound quality, not every player supports DTS-HD Master Audio. Yet, if you are able to get one that does, it would be pretty easy to tell the difference. It also allows bit by bit representation of the master track and hence the name. It supports a variable bit rate of up to 24.5 Mbps. In short, if you really want to explore the true potentials of Bluray audio, you must buy a player which supports this format. 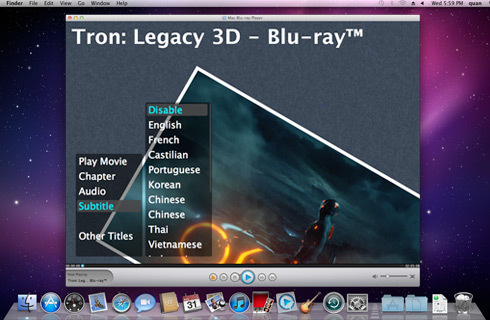 Mac Blu-ray Player is a universal player which supports Blu-ray on Mac as well as Pc. 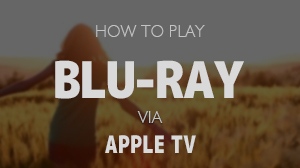 Moreover, Mac blue player supports all the audio formats including DTS – HD MA to ensure the best Bluray experience you can get.